It may be officially old enough to retire, but Walt Disney’s Peter Pan has never grown up. 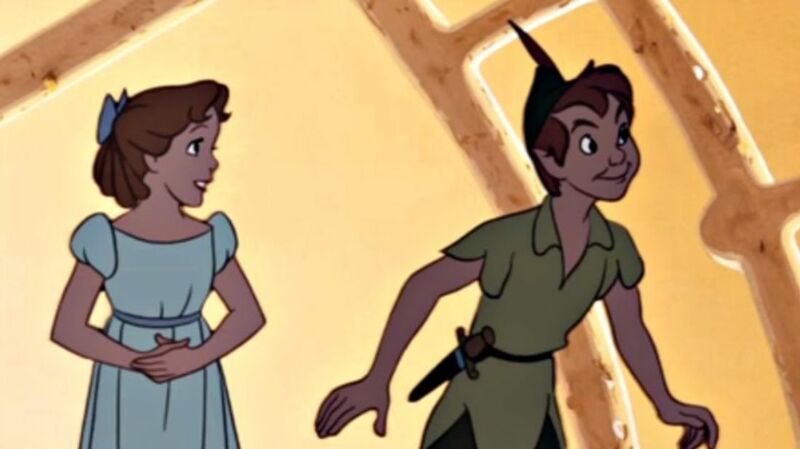 To celebrate its 63rd birthday, here are a few fun facts about the perpetually pubescent Pan. 1. As a young boy, Walt Disney saw a touring production of Peter Pan. 2. Walt later landed the title role himself. Perhaps inspired by the performance he saw, Walt went on to play Peter Pan in a school production. “No actor ever identified himself with the part he was playing more than I,” he said. 3. Disney had to make a deal with a hospital to make the movie. 4. Roy Disney was against Peter Pan. The elder Disney found the $3 million budget hard to swallow and was probably livid when costs soared to $4 million; he and Walt ended up in a big fight about the whole affair. It all worked out in the end: Pan grossed more than $40 million upon its original release, and another $46.6 million when it was re-released in the 1980s. 5. Animator Milt Kahl thought drawing Peter Pan was dull work. Milt Kahl had hoped to be assigned to the villainous Captain Hook instead and found himself bored with the work on Pan and Wendy. The hardest part about drawing Peter, he said, was making it look realistic when he was floating in mid-air or landing. Kahl resolved the latter by having Peter’s upper body arrive first, with his lower body catching up afterward. 6. Wendy Darling was voiced by Kathryn Beaumont, who was fresh off of another Disney movie. Beaumont also played the title role in Alice in Wonderland, which came out two years before Peter Pan. 7. It’s long been rumored that Marilyn Monroe provided the inspiration for Tinker Bell, but that’s false. 8. The song “The Second Star to the Right” was originally written for Alice in Wonderland. At the time, it was called “Beyond the Laughing Sky.” Here’s the Peter Pan version, then a brief explanation of the Alice song from Alice and Wendy herself, Kathryn Beaumont. 9. Actor Hans Conried provided the voices for both Mr. Darling and Captain Hook. The dual role upholds a longstanding theater tradition in which the same actor portrayed both the strict Darling father and the one-handed pirate. 10. It’s said that Walt didn’t actually care much for the finished product. He believed that the Peter Pan they had created was cold and unlikable. 11. Despite this, Disney believed author J.M. Barrie would have approved of his Pan. 12. Sadly, the boy who voiced Peter Pan fell victim to the child actor curse. As Bobby Driscoll got older, the roles seemed to dry up and he turned to drugs. After a prison stay in the early ‘60s, Driscoll became part of Andy Warhol’s Factory scene. He died of heart failure in 1968 at the age of 31.